Gingerbread is our favorite way of baking with sugar and spice. Brimming with cloves, nutmeg, and cinnamon and sweetened with the richness of molasses, it’s an indisputable holiday tradition. 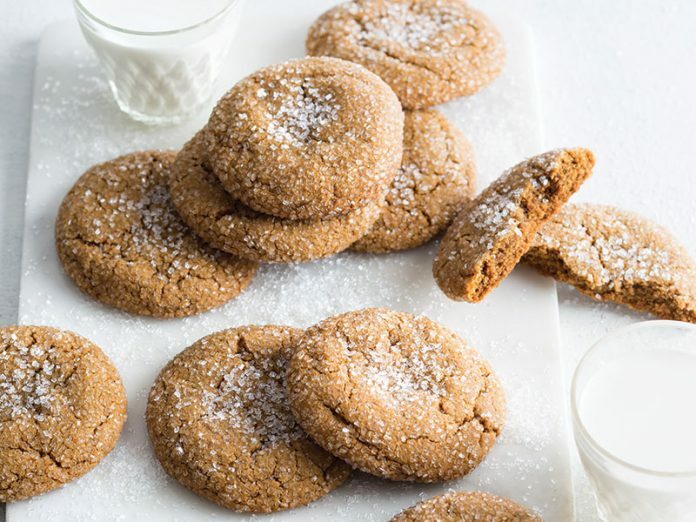 We’re making the most of this classic holiday cookie by revamping it into molasses- and spice-forward recipes for your baking repertoire. 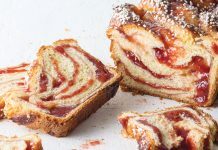 From our simple yet festive One-Layer Gingerbread Cake to our sparkling gingerbread chai-spiced cookies, these recipes will become your most indulgent holiday traditions yet. Find more gingerbread recipes in our 2018 November/December issue! A generous portion of minced fresh ginger is folded directly into the cake batter of this stunner. 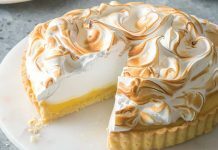 Swoopy Meringue Frosting gives it the whimsical appearance of a snowcapped mountain. Don’t miss our recipe for this gingerbread ski chalet topper! 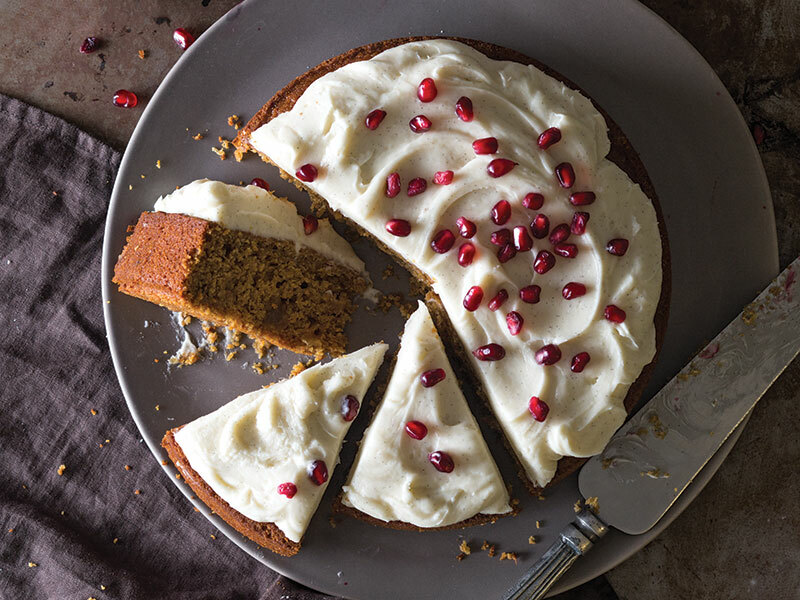 Melding the warm spices of gingerbread with the tart power of Pomegranate Molasses, our one-layer cake is a sophisticated spin on a holiday favorite. 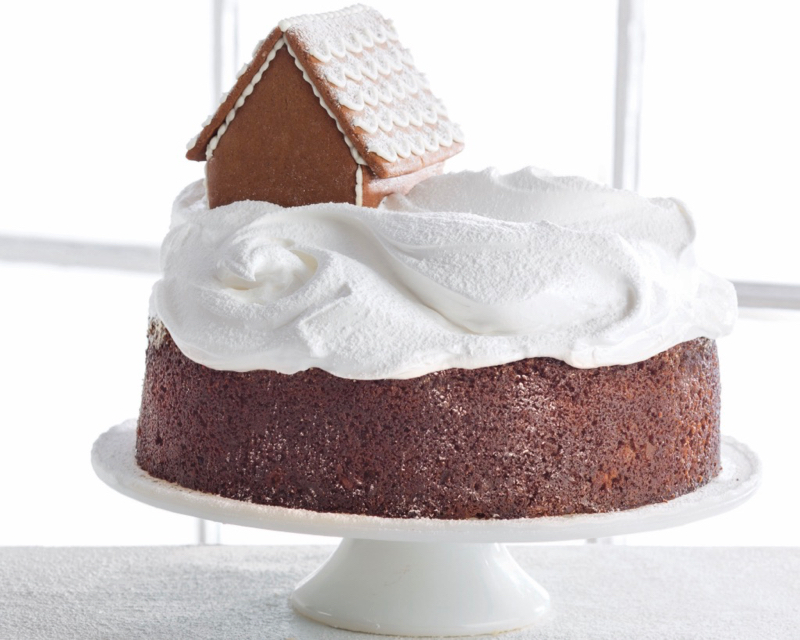 A final luxurious coat of vanilla frosting rounds out this simple stunner. 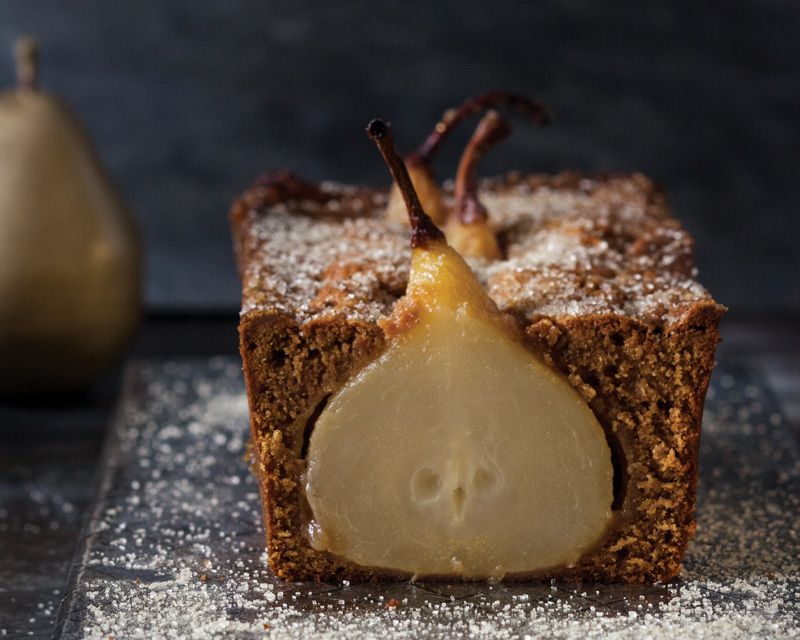 With their elegant tapering necks and firm texture, whole Bosc pears baked into this rustic loaf elevate its look and taste.